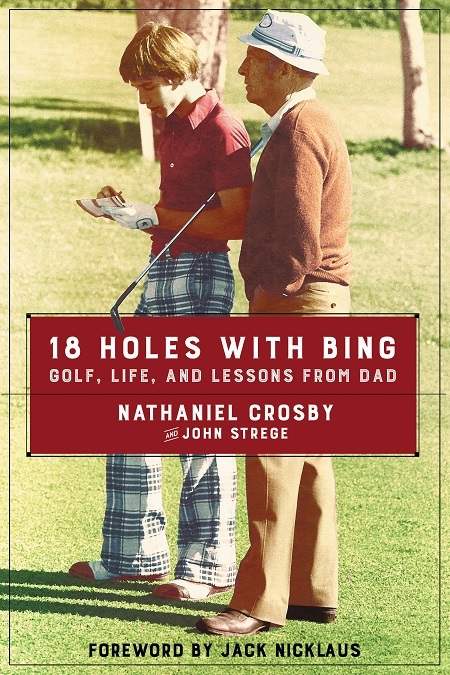 Bing’s youngest son, Nathaniel Crosby, makes abundantly clear just how crucial the game was to his father in 18 Holes With Bing (Dey St., $22.99). Indeed, all of our three volumes this time around are memoirs. If driven by three different approaches to the game, they nevertheless all manage to intertwine at some points. Each tends to meander in terms of chronology and are subject to repetitiveness. But they’re all also highly anecdotal, and most of the tales are ingratiating. One’s level of interest may depend on how inquisitive one is about Bing Crosby, Arnold Palmer, or Ted Bishop and his troubles with the PGA of America. Frankly, I’m not that interested in Bing Crosby, and yet Nathaniel, with co-author John Strege, has put together the most engaging book of this trio, quite possibly because they keep the spotlight pretty squarely on Bing. Sure, Nathaniel’s golfing life plays a part here—he played well enough to compete on the European Tour for a time, although not well enough for a long time. But it’s his victory in the 1981 U.S. Amateur Championship, that gives the book its emotional highlight. Crosby strove to win the tournament for his father, four years after his death, while Bing’s great friend Bob Hope sat watching the tournament on television with his tears flowing. Bing Crosby’s career is ably sketched in, but usually in the terms his widow used, as a golfer who sang. Wherever Crosby went, which was everywhere, some kind of game was usually in the offing. Bing Crosby was more than a fanatical golfer, however, as his annual Crosby Clambake evolved into the most prominent PGA Tour pro-am tournament on the schedule, and set a pattern for years of celebrity sponsored competitions (until corporate sponsorships took over, including the Crosby event) by the likes of Jackie Gleason, Sammy Davis Jr., Andy Williams, Dean Martin, Dinah Shore, Glen Campbell. The book is crammed with celebrity stories, naturally, and a delightful chapter about Nathaniel’s godfather, the crusty and still-ticking at 93, Jackie Burke Jr. The story is an aside in Bishop’s book, in which he recounts his life in golf prior to the main event—his ouster as the 38th President of the PGA of America in October, 2014, a bare month shy of what would have been the end of his two-year term. For those who forget, Bishop was sacked—or impeached, as he likes to put it—for an inappropriate Twitter comment. Bishop was reacting to what he deemed a rude tweet from Ian Poulter, basically referring to the British golfer as a complaining “Lil Girl.” This seeming gender insensitivity, which Bishop acknowledges, set his dismissal in motion. 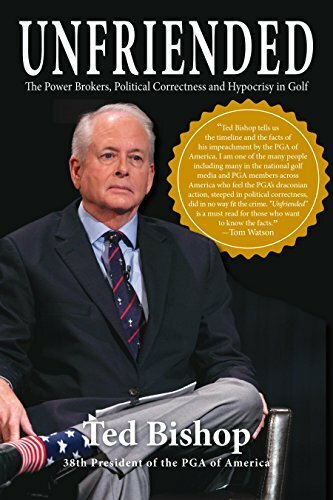 Bishop’s book is his brief that the PGA of America grossly overreacted, in excessive haste, after his tweet began getting blowback. And it’s tough to argue with him, though in my mind the real reason Bishop’s neck was on the block in the first place was that he choose Tom Watson to be the captain of the 2014 Ryder Cup squad. The ensuing debacle after yet another loss, and the dicey press conference in which Phil Mickelson carved Watson a new one, was still in the poisoned air at the time. The keg never really blows that destructively, but Bishop quite clearly shows that his entire career in golf was anything but gender insensitive, and the greater insensitivity in this case may well have been at the hands of those who showed him the door. The PGA Championship is the one major Arnold Palmer never could claim, and he had an uneasy relationship with the PGA of America for a time over a presumed slight years before to his father, Deacon Palmer. 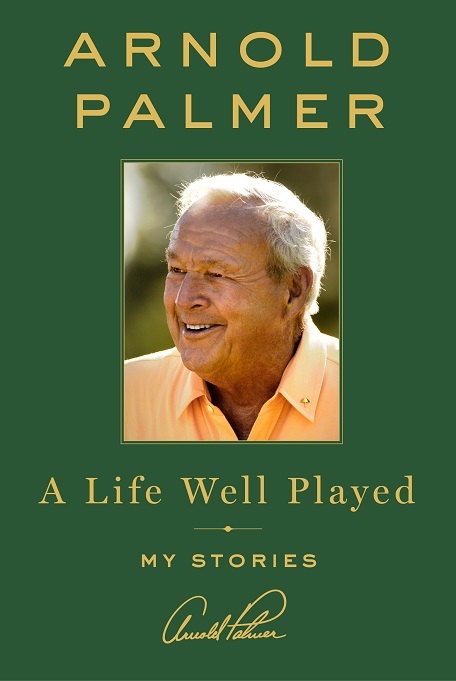 As readily evident in A Life Well Played: My Stories by Arnold Palmer (St. Martin’s Press, $22.99), his father was and remains the strong and main influence in his life, golfing and otherwise. 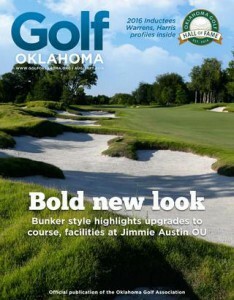 In both Bishop’s and Palmer’s books, reference is made to healing that rift with Palmer by the organization’s creation of the Deacon Palmer Award, given to a PGA professional who has “had to overcome a serious personal obstacle in his or her career to serve the game and community.” And Deacon Palmer was the first recipient. Arnold Palmer, no stranger to awards or books, felt like telling some of his stories again, so he sat down with collaborator Dave Shedloski (who also assisted Bishop) and roamed over his life and career once more, in what we can only dread may be the last time in such a fashion. True, some of these might be twice-told (or more) tales. I haven’t really compared the stories to Palmer’s 1999 effort with James Dodson, A Golfer’s Life, but there’s undoubtedly plenty of overlap. Who cares? This is Arnold Palmer in his own voice, in 76 tidy servings, on some of his great wins and losses, friends and rivals, hobbies and his multiple business interests, all over the globe. What’s not to like? It’s difficult to imagine a professional golfer who actually loves the game as much as Palmer, and it may be one of the reasons fans still love him in return—that whatever the rest of the trappings, there’s something unclouded at the heart of it. This piece originally appeared in the August-September 2016 issue of Golf Oklahoma, in pretty much the same form. Since its publication, the news arrived about Arnold Palmer’s death, so this was indeed, sadly, his last book. Books about him should prove a lively industry in the years ahead.